To sell out new condo developments faster and for more money, developers carefully curate model units in ways that go far beyond mere staging. When potential buyers tour a model luxury apartment in West New York, N.J., they can plop on the couch or grab sparkling water from the fridge. They can’t, however, brush their teeth with the electric toothbrush or scrub the toilet with the marble-clad brush next to it—none of the plumbing fixtures work. But it’s homey touches like these that make a model unit feel “lived in”—and help make a sale. “You want customers to daydream a little bit. Everyone always buys what they see,” says Alexander Hovnanian, developer of Nine on the Hudson, a 13-story luxury-condo project to be completed this year, with units ranging from about $675,000 to $6 million. To close the deal in a competitive condo market, developers carefully curate model units in ways that go far beyond mere staging. Custom-designed closets, one-of-a-kind artwork, designer light fixtures and brand-name luxury goods are strategically chosen to sell the promise of a lavish lifestyle that comes with a luxury apartment. At times, the model units are created in showrooms far from building sites still abuzz with construction cranes and crews. Condos typically sell faster or for more money when potential buyers can see completed models and not just computer renderings viewed online, says developer Andy VanHorn, who adds he spent “hundreds of thousands” of dollars to outfit three units at the historic Wardman Tower in Washington, D.C. Before 32 units in the landmark building were completely restored in 2016, prospects could see a model unit with herringbone floors, Thermador kitchen appliances and spa-like master bath—features that help up the selling price, says Mr. VanHorn, executive vice president of JBG Smith. “As models are delivered, people pay more.” Prices at Wardman Tower range from $2.5 million to $9 million. To target specific demographics, developers make sure to create various décor styles, often working with multiple interior designers. In smaller units, pared-down modern furnishings with brighter colors typically appeal to younger buyers, while larger units often use more traditional interiors to draw in buyers who are downsizing from a larger home, says Highlyann Krasnow, principal at the Design High, a New York interior-design firm specializing in new construction. “We make some assumptions,” says Ms. Krasnow, who adds that the process can take six months and can cost $100,000 or more. In some cases, the units may be sold as completely unfinished raw space, with the models just an example of what can be done. In other cases, the model unit gives buyers a look at the fixtures and finishes that will be available in all of the units in the building. Some buyers opt to purchased furnished models. In each project, she works to highlight the room layout, the use of high-end flooring or extras, such as surround sound or motorized window shades. Furniture and wall colors are somewhat neutral to appeal to a wider swath of potential buyers. “Even if that’s a little boring for you, you are not offended by it,” she says. Developers say models help smooth over a unit’s potential shortcomings, including odd or small layouts, street noise or lack of natural light, says Mr. VanHorn. 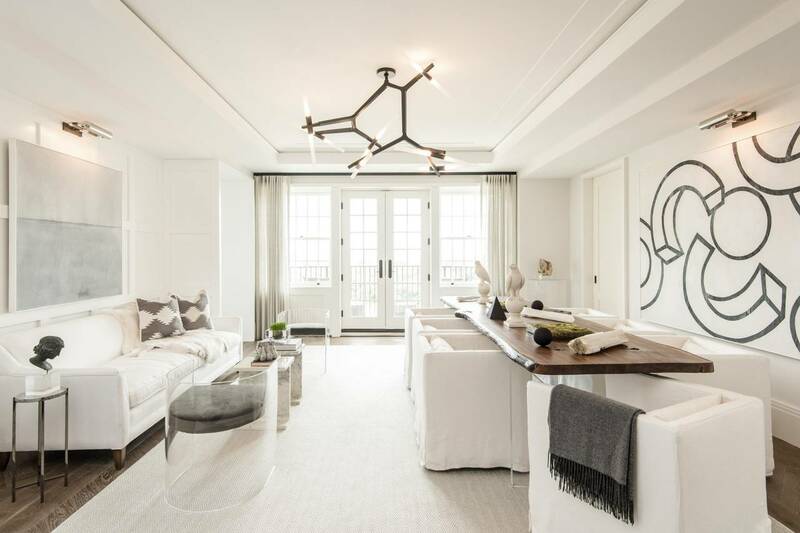 This year, the Wardman developer turned an extra-wide prewar-style corridor into a “gallery” with multiple seating areas and custom art pieces to help buyers imagine how to furnish the $9.9 million penthouse unit. The model helped highlight the vintage layouts, where “not everything is exactly perfect,” he says. Walking through a model unit may speed up a buying decision because it evokes feelings of happiness, says Stephen Conroy, an economics professor at the University of San Diego who studies real-estate amenities. Rather than looking at the unit on paper, the experience of seeing and feeling the various finishes evokes “an emotion that’s going to enter into the buying decision,” he says. While model-unit purchases are not tracked by real-estate services, 31% of buyer’s agents say that staging a home increases its value by 1% to 5%, according to a 2017 survey of 1,894 agents by the National Association of Realtors. For Alan Pellegrini, chief executive of an aerospace company, walking through a model at Westlight, a 71-unit luxury condo building in Washington, D.C., helped him realize that he would be cramped in the unit he had in mind. He paid “a couple hundred thousand” to swap the two-bedroom he already had under contract for a similar condo in the same building but with a den that he plans to turn into a library. “When you see the model, it shows the potential,” he says. 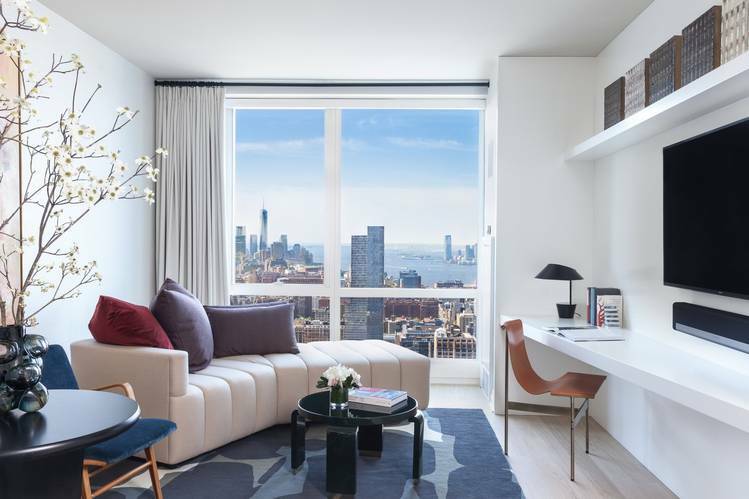 Mr. Pellegrini, 54 years old, declined to disclose the price he paid for his unit, but two-bedroom apartments in at Westlight range from $1.26 million to $2.7 million. 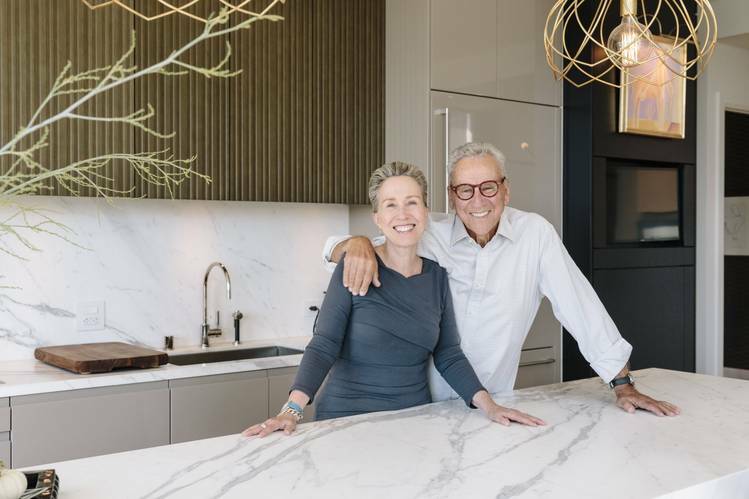 After 12 years in a single-family home, Rebecca Schumacher and Guido Piccinini weren’t sure they could downsize to condo living. 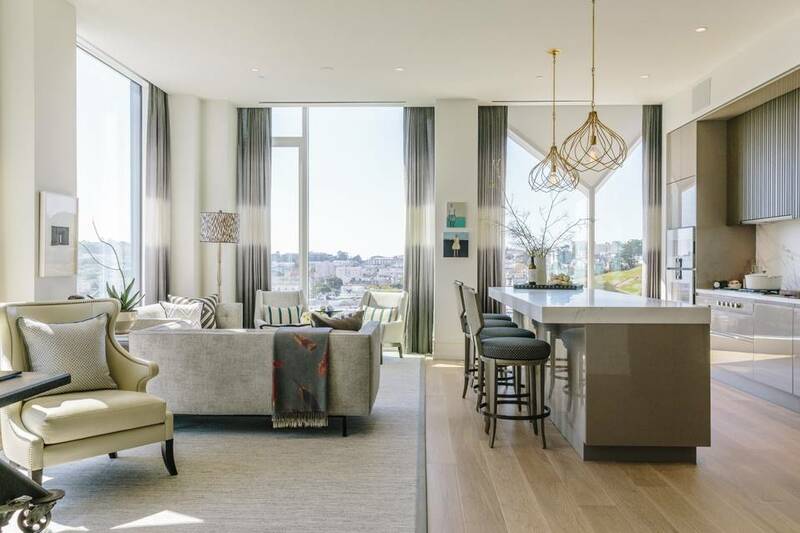 But after viewing the model units at the Pacific, a 76-unit building, in San Francisco’s Pacific Heights neighborhood, the couple was convinced. The couple purchased a corner unit and moved in this year, creating a formal dining area out of one of their three bedrooms. The model units were designed with marble slab kitchen counters, modern moldings and custom headboards to fit the master bedrooms. “They all felt like home despite being smaller spaces,” says Ms. Schumacher, 66, a real-estate agent. Ms. Schumacher would not disclose sales price, but a similar unit is listed for $4.87 million, according to Redfin. Choosing the right brands to display in the models is key, says Maile Aguila, senior vice president of residential sales at Swire Properties . This Hong Kong-based developer is behind Brickell City Centre, a mixed-use development in Miami. Potential buyers need to be familiar enough with the designs to feel as if they are walking into their home, says Ms. Aguila. When completed, many of the 390 residences at Brickell City Centre will have interiors created by the Brazillian furnishings brand Artefacto, which is familiar to the area’s South American buyers, she says. Many of the units are purchased furnished, she adds, and typically add roughly 12% to 15% to the sale price. Units at Brickell City Centre range from about $650,000 to $6 million.